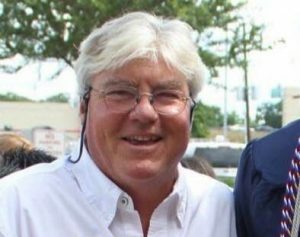 Francis “Baw” Talman crossed the bar, 4/23/18. Fair winds and following seas. Thanks for making this year’s awards party great. Here are some highlights! We all had a nice time at the Holiday party. Here are some pictutres! We are unique among Ice Boat Clubs in having occupied our own clubhouse since our founding in 1880. This has enabled us to preserve an incredible amount of historical data, photographs and memorabilia under one roof, which is on open display for all members and guests to enjoy. In many ways we are the Ice Boat Mecca! 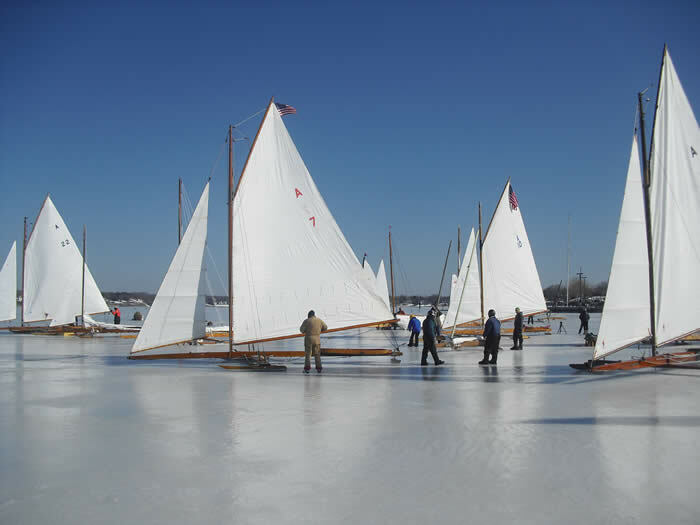 The racing capital for ice boating is Red Bank, N.J. The town’s logo is the iceboat and it is even placed in decorative bricks in the center of town. In 1880, eight merchants/sailors created the club for racing. The beautiful Navesink River or as it is called the North Shrewsbury River is the most beautiful river in the U S. The river really made the town flourish and attracted people to it all vehicles of municipal use carry the logo of the iceboat on them. An ice boat is put on display every holiday season in the park with lights. To bring attention to the river with ice boat season approaching. The North Shrewsbury Ice Boat and Yacht Club has been to ice boating a landmark in both design and performance and along with the oldest club house been basically the grand old lady of the sport of ice boating. The impact to the people who have ever participated, or observed this sport has been great. The friendships and memories are never-ending. The romance of the river has been a century in the making and has made ice boating addictive to anyone who comes into contact with it. The North Shrewsbury Ice Boat and Yacht Club must be preserved for future generations.